Want to become a CNA in Boston? CNA jobs are projected to grow 11% by 2026, and Boston is ranked the 5th top-paying metro area in the country. Boston is a top-ranked city for CNA wages, which average at $16/hour, but the top 10% of the nation’s nurse aids earn $50,000. To start a CNA training program, you need to be at least 16 years old, have a high school diploma or the equivalent, pass a criminal background check, and have up-to-date immunization records. Next, you will need to find accredited CNA classes in Boston and successfully graduate from the nursing assistant program. You must then pass the required state exam and register online on the Massachusetts Nurse Registry in order to qualify for a CNA job in Boston. Massachusetts has a high CNA employment rate, according to the U.S. Bureau of Labor Statistics. Nearly 50% of CNAs work in Nursing Care Facilities, and there are 500 registered nursing facilities in the state of Massachusetts that offer employment. Massachusetts currently employs 42,000 CNAs and is ranked top in the nation for CNA wages with Boston being the 5th top-paying metro area in the country at nearly $16/hour. 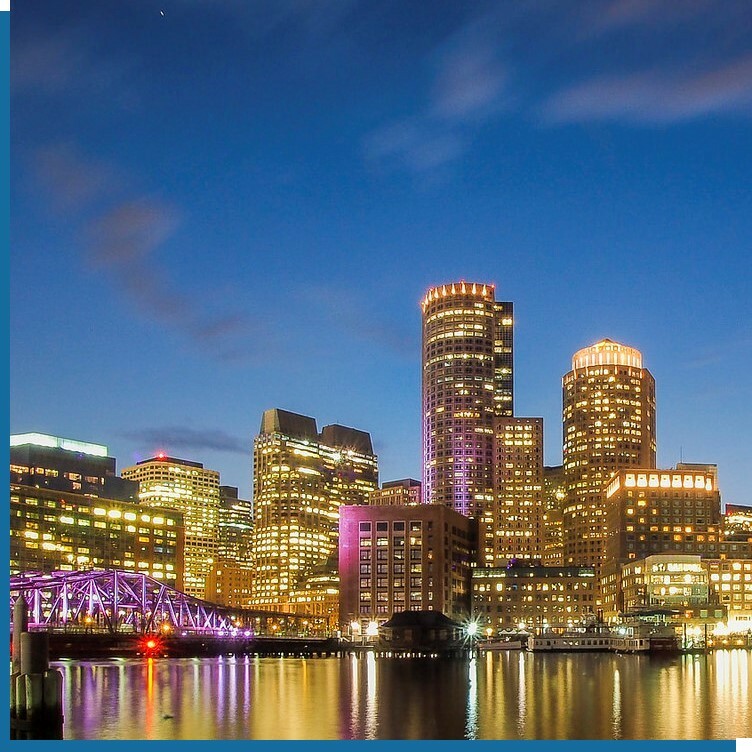 The Boston metropolitan area, which makes up roughly 68% of the state workforce, is ranked as one of the country’s top metropolitan areas with the highest employment rates, there are nearly 3 million jobs in the city. You can also get more detailed information by connecting to our page at How to Become a CNA in Massachusetts. If you can’t find a fully-funded CNA program, you can also opt for a partially-funded program such as the Certified Nurse Assistant Training Program with Goodwill Boston. The 11-week training program provides low-cost CNA classes for low-income students who just pay a nominal eligibility fee and must pass a nurse entrance interview. After graduation, the career counselors also help students find CNA jobs in Boston for next 5 years. You must be 18 years old, have no criminal background, and pass a reading and math assessment. Employers are in need of nursing assistants and many are willing to pay for your training and certification. CNAs are able to promote quickly and advance to levels such as Licensed Practical Nurses and Registered Nurses. Due to this career advancement, there is a high turn-around rate for CNAs and employers must fill their nurse vacancies. In Massachusetts, if you are employed within 12 months of completing the training, you can apply for your employer to reimburse your training. Before you start your training, search for CNA jobs in Baoston to connect with possible employers. Speak with the Human Resources department and ask if they reimburse for training or if they have partnerships with specific CNA schools. They may even pay for your state exam fees or provide on-the-job training. Nearly half of all CNAs are employed at nursing facilities, followed by 30% at hospitals and 13% at assisted living facilities, according to the Bureau of Labor Statistics. In addition to providing training, Job Corps helps students with daily living expenses such as residential housing, food service, health and dental care, a bi-weekly basic living allowance, and a clothing allowance. Students can move to the Jobs Corps center where they live, train, and study in their chosen career field. When you graduate, there are careers advisors and counselors who will help you write your resume, plan your career, continue your training on-the-job, and find CNA jobs in Boston. Contact the Baltimore Job Corps Center for more information about their Free CNA program in Boston. Really enjoyed attending MPI. The staff is awesome. Teachers were great. If the class had any concerns about a teacher or subject, they were quick to do their best to make the situation right. I recently finished the Phlebotomy and EKG classes. I took time out to have a baby and now I’m starting an externship. I plan on returning to MPI for the LPN program. - Marquita H.
This school is the best ever. I'm actually a CNA and I could not do it without them - Leijane P.
They are very nice person. They make you work to be successful in life. - Erica D.
Enrollment was easy, admission team was so helpful. - Luwedde J. My CNA training at International Health Care Services were great! Peter and Jane are excellent instructors and very knowledgeable. They definitely want all of their students to pass and help you out when needed. The location and class times were very convenient for me, especially when I was still working a full time job! Thank you guys for everything. - Kellie T.
Non-profit education center that offers great services in Lawrence. English classes, HHA & CNA classes also available. - Julie G.
Free classes for adults: English, Basic Reading & Writing, Basic Math, Citizenship, Health Career training. Very good programs, excellent teachers, very responsive to students. Includes advising, tutoring, computer. - Rebecca P.
I absolutely love Bunker Hill. I currently go here and i think the professors are amazing and also the diversity and atmosphere of it. I highly recommend this college. - Aliza R.
Love this school, professors teach every well, and the staff here are really nice. - Leslie G.